If you’ve never used Google Analytics – well, you’re in the right spot. I’ll share with you what Google Analytics is, how to use Google Analytics (including setup and installation), and how to get started using some powerful Google Analytic reports. Google Analytics is a free web analytics service, that is written and provided by Google. The primary purpose for Google Analytics is to track website traffic and provide information about your site. How many visits did my website get? Where do my website visitors live? Where did people learn about my site? What did visitors search my site for? Before we talk about how to use Google Analytics, let’s be sure we have everything set up properly. You’ll need to be sure that you have a Google account and the code for your Google Analytics tracking. Your tracking code should look something like below. Once you have the code, you’re on your way to get started with Google Analytics. Insert the code into the source code of your site, ideally just above the </head> section – don’t worry, it won’t change the way your site looks or feels at all. Google Analytics tracking code needs to be on every page that you want to track. Many sites have a place for you to insert that specific tracking code, while others have a place for you to insert your Analytics ID (UA-XXXXXXXX), highlighted in the example code above. Either way will work, but be sure that you have the code on the page once – if you have it on the page twice, it can create some strange effects like double pageviews which will affect your bounce rate. Typically, Google Analytics will start to show pageviews in about an hour or two, but if you set up Google Analytics Goals or e-commerce, those results may take longer to show up – sometimes up to a day. While testing, be sure to change the date that you are looking at which can be set in the upper-right corner of Google Analytics – by default, Google Analytics will show data ending the previous day. 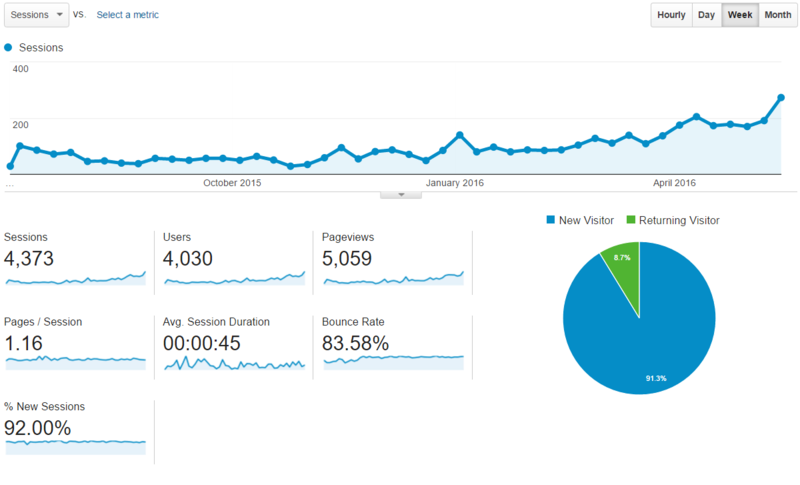 Now for the fun stuff – how to use Google Analytics and get started with your own website reports. Below is a collection of pages that show how to use Google Analytics, and each article is in-depth with tons of information. 6 Metrics To Watch In Google Analytics – these are the needles you’ll want to watch to see how your site improves, and if they change, you’ll want to pay attention. Need Expert Google Analytics Help? If you’ve tried this and nothing seems to work, or you need more help with how to use Google Analytics, check out my Google Analytics Consulting section, which also includes expert setup and training options.